The Old Schoolhouse's (TOS) purpose is to equip parents to take back their children spiritually and educationally by supporting, encouraging, informing, edifying, and inspiring them. It is also to exhort new parents to keep their children at home from the very beginning, commencing at the birth of their precious God-given gifts. Their vision is to advance the cause of Christ by strengthening homeschool families spiritually and academically. Beyond that, their mission is to see people come to know Christ as their personal Savior. - Homeschooling is not just a choice; it is a conviction. - Public schools pursue a godless purpose and agenda. Christian parents need to be lovingly warned about the dangers of the public education system. - Homeschooling allows parents to exercise their God-given responsibility to educate their children spiritually and academically. - Homeschooling strengthens families, ultimately strengthening the body of Christ. - Homeschooling is a venue to impact the world for Christ. Read the current TOS magazine issue FREE! Need a weekly dose of encouragement? 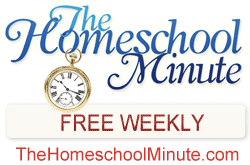 Receive The Homeschool Minute™ eNewsletter FREE in your inbox every Wednesday. You'll be encouraged by the practical wisdom of Deborah Wuehler, Gena Suarez, Dr. James Dobson, Diana Waring, Todd Wilson, Hal and Melanie Young, plus others. Visit TOSMagazine.com or download an app to your portable device at TOSApps.com to receive the premier family education magazine online quarterly—FREE. You will be inspired and encouraged by our group of expert columnists. Whether you are a homeschooling family or are interested in homeschooling, sign up for one of two FREE Homeschool Welcome Baskets™. Go to TryHomeschooling.com for more details and to get yours today! 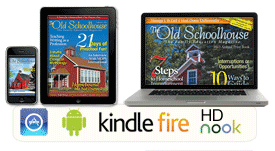 Whether you're a long-time homeschooling veteran or a newcomer, you will find eBooks about homeschooling, finances, working from home, and much more at the Schoolhouse Parent eBook Library. Molly Green Magazine helps you craft your HOME-oriented lifestyle with a focus on all things HOMEsteading, HOMEkeeping, HOMEschooling, and HOMEindustry. 108-page print magazine by subscription or FREE digital magazine at MollyGreen.com. Interested in home business? Get your own Cottage Shop and start selling your items directly to the public with no start-up fees! Find an abundance of inspiring lessons, helpful resources, and enrichment activities. Receive a year’s worth of learning and fun for less than you would spend to take the entire family to enjoy a day at an amusement park. Take a tour and discover all Schoolhouse Teachers has to offer!